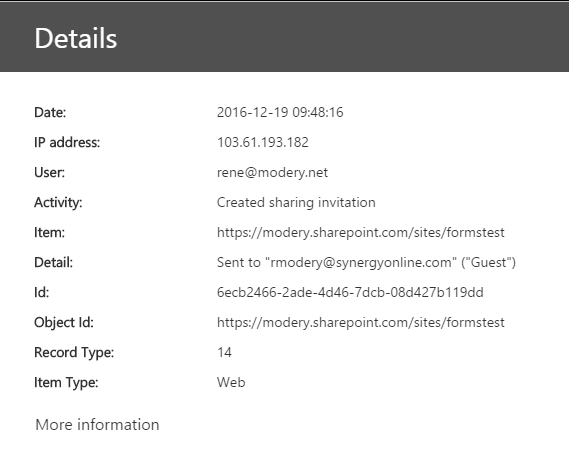 When it comes to sharing content with external parties in SharePoint Online, setting up sharing can be done easily. 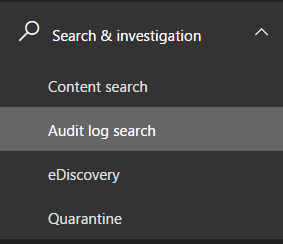 But what if you want to get some details on who shared which content with which external party, for example for compliance or audit reasons? 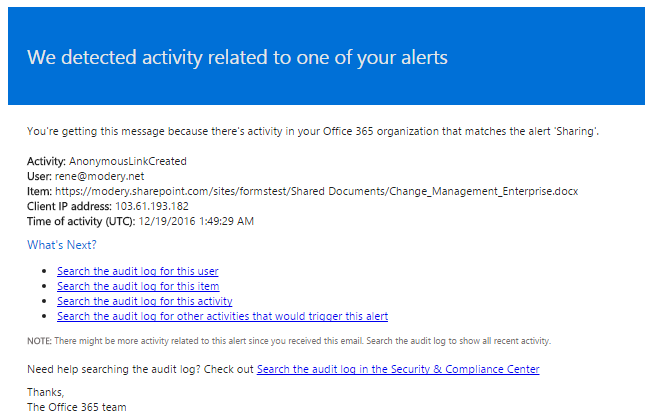 The good news is that this kind of information can be retrieved quite easily from Office 365, and you can even set up alerts to be notified about specific events! 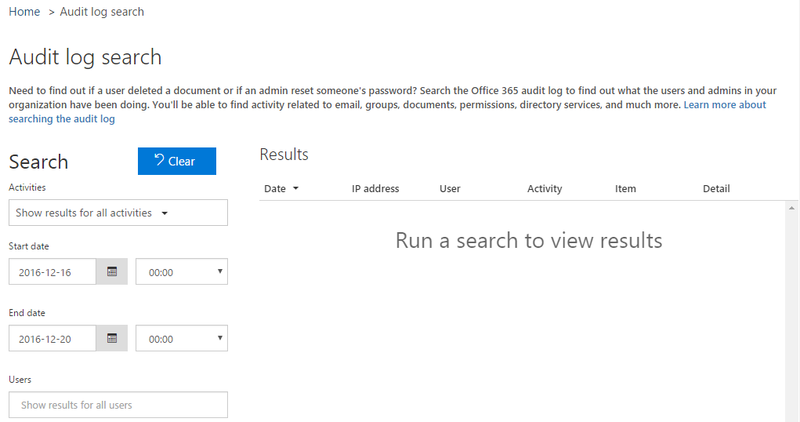 Interesting here are: ‘Created sharing invitation’, ‘Withdrew sharing invitation’, ‘Used an anonymous link’, ‘Updated an anonymous link’, ‘Accepted sharing invitation’, ‘Created an anonymous link’, and ‘Removed an anonymous link’.